My name’s ‘blurryface’ and I care what you think (X2). But now we’re stressed out (X2). Saying, “Wake up, you need to make money" (X2). 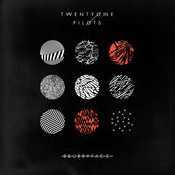 Ampliar Canción Stressed Out de Twenty one pilots . - Álbum "Blurryface" del año (2015)	.